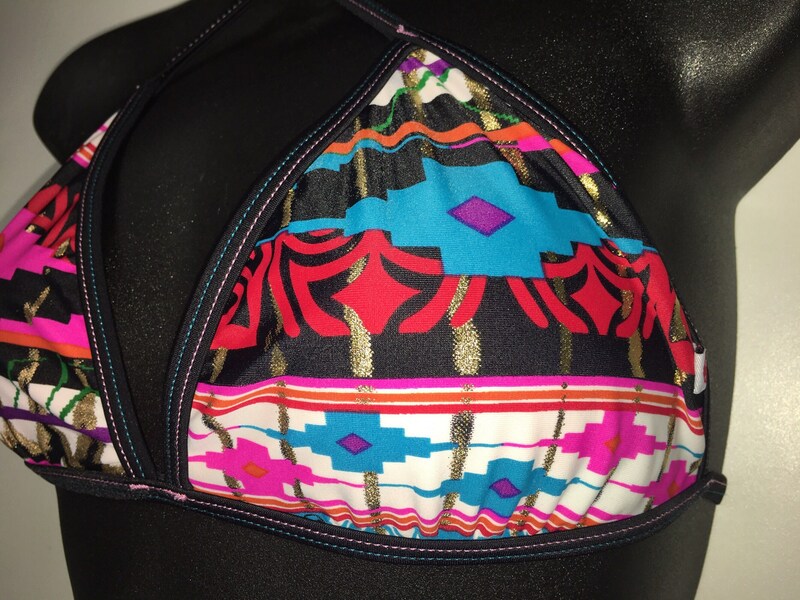 75%OFFSALE *** MissManeater AZTEC thin bind fixed triangle bikini top with thin bind tie side boutique bikini pant ***SUPER low rise! THESE ARE THE LAST ONES IN THIS COLLECTION SO WE HAVE CREATED A SET!!! As well as dying the LACE bright candypink! 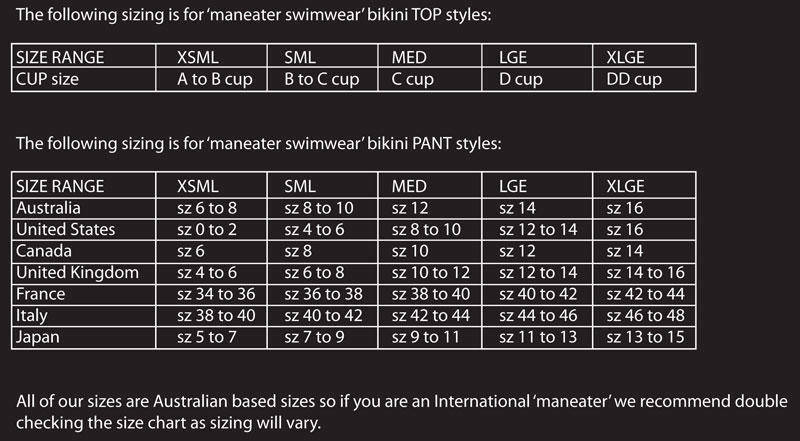 With only 3 size MEDIUM remaining in the FIXED TRI TOP & 1 size LARGE, we have teamed to create BIKINI SETS. Matching these top styles back to our SUPER LOW rise tie side hipster pant with LACE edge frill bum detail....we have size MEDIUM in stock! This set would usually retail @ $170.00....but we have it on SALE at 75% OFF!!! So GET IN QUICK!